I adore people who can cook better than me. One time I would have been jealous, now I love the fact that they can teach me even more and surprisingly sometimes I actually teach them! One of my favorite cooks is my friend Jacquie or Everyday Cook as she is known in Social Media circles. She is one of a kind. She can cook and she can bake. And bake she does! 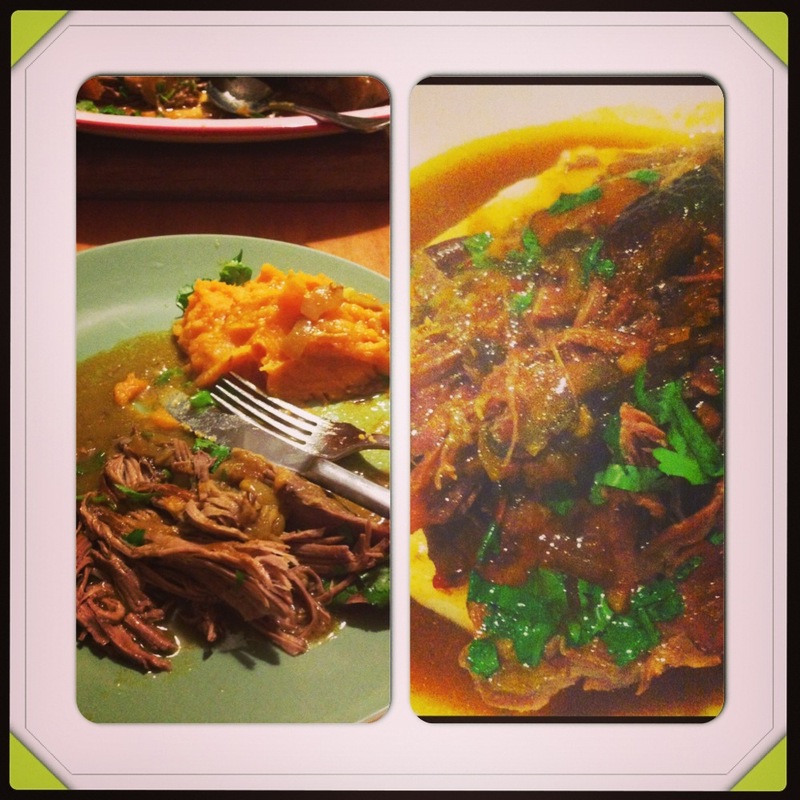 I have made quite a few things from her blog over time, and last night I attempted her Slow Roasted Moroccan Lamb. Now Jacquie is not your ordinary women, she has lived in Paris! And while there she enjoyed many a Moroccan meal. Who knew France was more about bread, cheese and croissants? So, back on task, my friend Bec and I both tried this new recipe last night and we have both put it on the MUST MAKE AGAIN list. We also both cooked ours in our oval Aldi knock off Le Creuset with lid on. PERFECT! Heat oil in a large fry pan and brown the leg of lamb, turning over. Place the lamb in an oven proof dish, if you have one with a lid great, if you don’t you can cover with foil. Pour the sauce over the lamb, cover and place in an oven for 3 1/2 to 4 hours at 165 degrees. Check every hour and turn the lamb over and baste. When ready, the meat should be falling off the bones and be very tender. Sprinkle the rest of the coriander over the lamb before serving. You can serve the Moroccan Lamb with cous cous and a salad, or I baked sweet potato and sprinkled it with toasted pine nuts and coriander. Go to Everday Cook’s blog HERE to follow the steps. 3. Enjoy a most delicious slow cooked meal! Mine on the left and another friend of mine Bec’s on the right. I served mine with cinnamon sweet potato mash in the thermomix and a green salad.